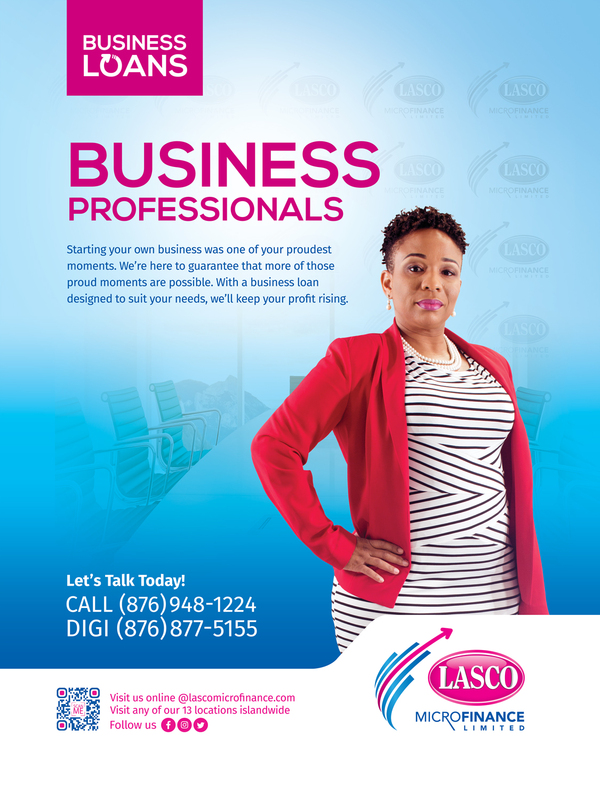 Business Loans - LASCO Financial Services Ltd.
Must be permanently employed for at least one (1) year (must not be on probation). 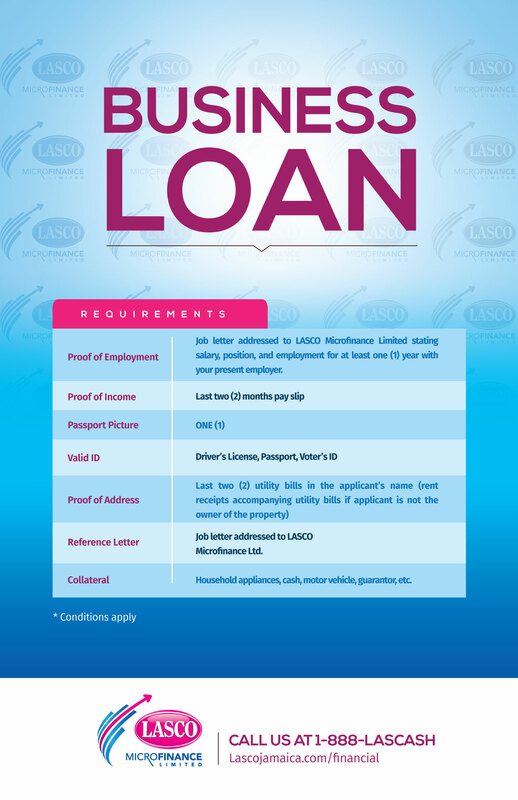 Must be able to repay loan by either salary deduction or direct debit. Must have good credit history or be a person with integrity. Job letter stating salary, position & length of employment. Last three (3) month’s pay slips. Character reference from a high-ranking police office or Justice of the Peace. A valid ID (Nat., Driver’s License, Passport). One (1) passport size picture.